We’ve all heard the jokes and tried to guess the answers. Why did the chicken cross the road? Well, why would you cross the road? To get the whatever lies on the other side, of course. However, in Crossy Road, the chicken has an insatiable curiosity, and wants to cross all the roads, train tracks, and rivers. So, instead of questioning why the chicken crossed the road, perhaps you should ask yourself if you have the skills to help her survive from one traffic-laden highway to another. Hipster Whale is behind the original release of Crossy Road. 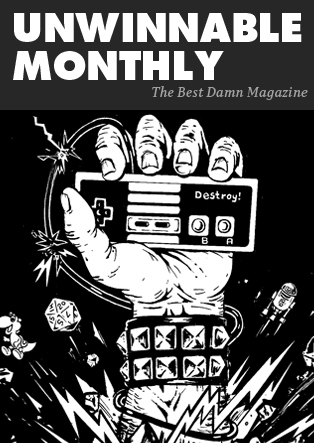 It began as a mobile app that hit viral status in 2014, then morphed across all platforms and devices for a multitude of gamers to play. It’s still a fun, challenging game 4 years later. Where is the Best Place to Play Crossy Road? While Crossy Road has been made available across a plethora of platforms and sources, some gameplay places are more secure than others. Poki, for instance, is the first site to offer exclusive, safe gameplay of Crossy Road in an all-web, super-fun format. You can check it out here. You can expect a smooth, effortless load of Crossy Road, followed by a sleek gameplay that enhances your overall experience. That’s what makes Poki such a great gaming site. Additionally, if you feel you’ve mastered Crossy Road, Poki offers thousands of other games for you to peruse and play at your leisure. There are other skill builder games, as well as hundreds more categories for every type of gamer of any age range. Were you one of those kids that would head to the mall arcades every weekend with a pocketful of quarters and determination in your eyes? Or, does your heart flutter with excitement whenever you begin a new game that you just know will be oh-so much fun? That’s the kind of addictiveness and endless fun that Crossy Road inspires. This game has an arcade style that old-school gamers can appreciate, while new-school gamers will love the feelings of accomplishment that come from guiding their curious chick across a string of endless roads, tracks, and rivers. Think This Game is Too Simple? Think Again! 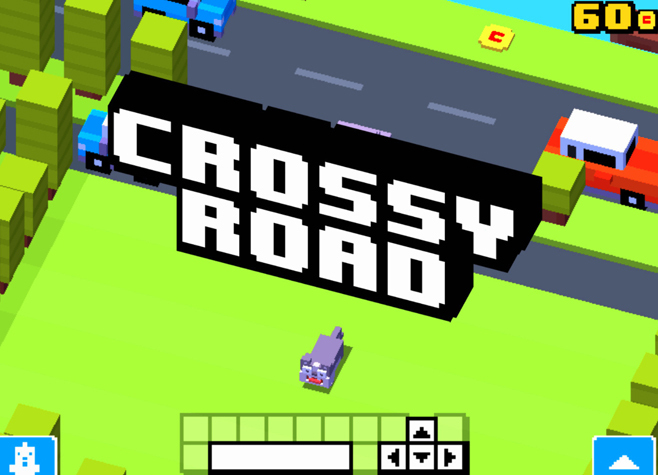 Crossy Road is simple in concept—because how hard could it be to guide a chicken across the road? Very, actually. While this game may look simple, it can present quite a challenge to the most seasoned of arcade gamers. It would be simple if the roads were clear and there were zero obstacles between your chicken and the other highways, but no such luck. Your chick has to contend with LOTS of traffic, and all you hear is the blare of car horns, the loud hoot of train whistles, and the occasional caws of hungry, swooping eagles. Luckily, playing Crossy Road on web is very easy. The game does offer simple controls and basic movements. Players use the arrow keys and spacebar on their keyboard to play. UP moves forward, DOWN moves backwards, and you move side to side with the LEFT and RIGHT keys. The SPACEBAR is used to either spin the prize machine for a new character or start a new game. Aside from a Chicken, What Other Characters Can You Unlock? There are coins scattered throughout the game, so be sure to collect as many as you can. Some are on train tracks, logs, or in the center of busy roads—be careful and calculated. If you have to leave a coin behind, then so be it. The coins add up to earn you a spin on the prize machine. This machine, typically, unlocks a new character with special abilities and paces that you can use to replace your chicken. For instance, the slimy snail is, surprisingly, super speedy, but sometimes he can be too quick and dive right into traffic. Whereas, the Rusty Robot is a bit rickety and slow, but nearly indestructible when it comes to smaller cars on the highways. There are lots of characters to unlock, so make it one of your objectives to collect coins and unlock them all. When you get home from work or school, you probably want to relax and unwind with a good drink, a delicious snack, and some much-deserved downtime. Crossy Road is the kind of game that relaxes your nerves but keeps your senses keen and your mind sharp. So, how do you incorporate this game into your everyday routine? When you have some time to yourself, simply sit down and play. It could be the perfect ender to a tiring day. Or, you could reserve your gameplay to a few hours on the weekends. Kind of like the finisher, or the cherry on top, of a hard-worked week.